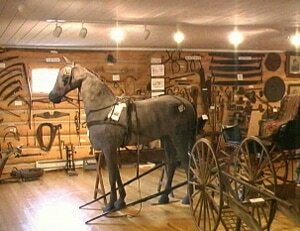 This local museum emphasizes artifacts of Native Americans, Finnish farmers, and Yankee settlers from the island's early historical period. 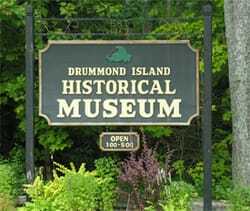 Other displays cover the British Fort Drummond, the lumber era, sporting camps, ferry boats, and the island's rich fishing and boating history. All housed in our new museum constructed of hand-hewn Drummond Island logs. The fireplace has been made from the stones of a chimney at Fort Drummond. Native American artifacts dating back to 200 B.C. are on display. The British fort from the early 1800s is recreated in miniature. Writings and photos from the early 1900 depict Maggie Walz establishing a Finnish colony of at least 50 settlers on Homestead Grants on Drummond Island. You will find hand-tools, handicraft, and “hands-on” items throughout the entire building. Pictures and memorabilia of the late 1800s and the early 1900s logging industry are available for viewing. Geological oddities, historical maps, photos of early settlers, cemetery lists etc are all available for an interesting afternoon of exploring. The foundation of their home is readily apparent and currently used as a border for the local garden club herb garden. Directly across the street a memorial park was established to honor Betsy Seaman who raised a family of 15 children at this site. Her husband, Daniel died in 1863. The park extends around the bluff and down to the waters edge and provides tables and benches for picnicking, resting or sight seeing. The beautiful log structure housing our historical collection was made possible by donations from generous local families and the gracious visiting families from all across the United States. Building Sponsors could “buy” logs for construction of the new building after the original museum was destroyed by fire. Sponsors and donors names are tastefully acknowledged upon entering the building. Admission is free, however donations are appreciated. 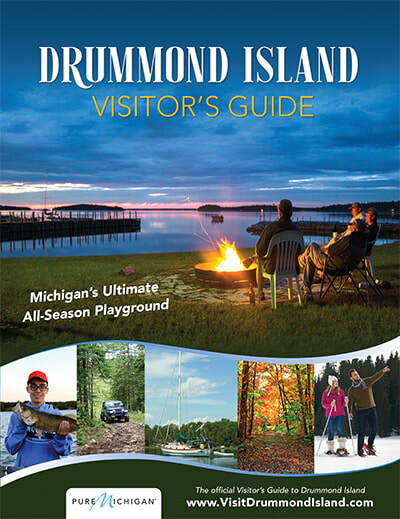 The Drummond Island Historical Society, Inc. operates the museum as a non-profit organization under Section 501(c)(3) of the U. S. Internal Revenue Code.